Once you find yourself deep in debt, chances are you’ll panic and act without thinking. This is the beginning of your financial downfall. Understand that debts themselves are not bad, but how you overcome the challenge they present is what matters. Taking the bold move to face your debts is the right step. However, many people fail to understand that paying off loans encompasses more than just clearing your credit card balance. It goes way deeper than that and involves learning positive spending habits and personal finance education. Without these, you are bound to make the same mistakes that got you into debt in the first place. In this article, you’ll learn about the various mistakes you should avoid while paying off your debts. Humans are characterized by habits: some good and some bad. When it comes to money, it’s no different. These habits can be enslaving and sometimes costly. For example, even when paying off debts, you’ll want to go out to the same restaurants, drive the same car, and so on. Yet your pockets continue to dry up. The solution? Your spending habits have to change if you want to dig yourself out of debt. This includes changing how you live. Cook at home, take a bus to work and make better financial decisions moving forward. As time goes by, you’ll start noticing some differences when it comes to spending habits. Paying off debt is a long and tedious journey—one that can take a toll on you if you decide to go at it alone. This is why it’s vital to seek help the first instance you notice you’re not making any progress. Do this before you get yourself into more debt than when you first started out. The solution: there are multiple financial counseling agencies in the United States. What’s more, is that most of them offer their services for free and are trained and accredited by the National Foundation for Credit Counseling. These counseling agencies can give you advice regarding things like debt settlement, debt-relief programs and bankruptcies if the situation is that bad. They will also provide personal financial management advice, including budgeting. Everyone wants to take the fastest route out of debt. This is why when predatory companies come preying with lucrative and promissory deals, everyone jumps in. Unfortunately, this road doesn’t exist. You need to stay alert and stay away from such schemes. The solution: one of the first signs of a con program is an upfront payment. If a company asks for such fees, you need to proceed with caution or abandon the program altogether. Another sign of trouble is if they guarantee you a specific result. This is a red flag because you cannot predict what offers creditors will make. Keep in mind that you took the time to accumulate the debt and so, it’ll take time to get out of it as well. No shortcuts, only smart moves. Research shows that about 57% of Americans don’t have money stashed away to cover unexpected financial downfalls of at least $500. Perhaps you’re trying to get yourself out of debt fast and so, you forget to put away the funds for such situations. If you do get into a cash crunch, chances are you’ll get deeper into debt. In fact, according to a survey done by Bank rate, about 36% of Americans will turn to family and friends for a loan to handle emergencies such as credit card debt. The solution: your financial future is unpredictable, which is why you need to put away some amount of money for emergencies. A number of experts recommend saving at least 3 to 6 months’ worth of expenses. This is a tempting move, but a risky one. Your 401k contributions should help you in retirement, not in debt situations. By stopping contributions or taking money from your 401k, you rob yourself of the chance to benefit from compound interests. The problem with borrowing from your retirement contributions is you’ll have to pay double taxes. This is because you’ll use after-tax money to pay for the loan which will be taxed again. There’s no gain in the whole process. In addition, what will happen when you lose your job? Here’s what will happen. You’ll have to pay off the loan in about 60 to 90 days. If you don’t, the loan will be regarded as taxable distributions which means if you’re under 59.5, you’ll have to bear with the 10% penalty. First off, you’ve exchanged your unsecured loan for a secured loan. You will clear your unsecured loans, which is good, but on the other hand, your secured loans will shoot up. This is risky because should you fall behind on payment, your house will be on your creditor’s radar. In addition, you’ll be setting up yourself for more interest by taking out home equity to pay for bills that had lower interest rates than what you’ll pay going forward. The solution: You need to identify why you got into debt in the first place instead of moving your debts around. If you don’t, it’s possible that you’ll just end up in the same position. A majority of American households have more than one debt—mortgage, credit cards, and student loans, among others. With such overwhelming debt, it’s impossible for you to try and kill all birds with a single stone. One of the common ways we go about paying off our debts is by paying a single loan consolidated taken from www.nation21loans.com or any other same standard reputable service or credit card each month. This will help to find various lenders those are eager to help with larger amount of loans. Well, this is not the best way to go about it. You cannot do everything at once. You are likely to fail if you try. The solution: What you need to do is revisit your budget and cut down on unnecessary expenses. In fact, cut it down until you have about $100 in surplus. This amount will go into paying off a specific debt starting with the one with the lowest interest rate. Afterward, move on to the next one and keep doing this until you have cleared all your debt. First of all, budgets are the blueprint to financial success. If you go wrong with your budget, you go wrong with your finances as well. Many people find it difficult to come up with a household budget, but that will soon change after you are $30,000 in debt. The solution: create a practical budget. This cannot be overemphasized. 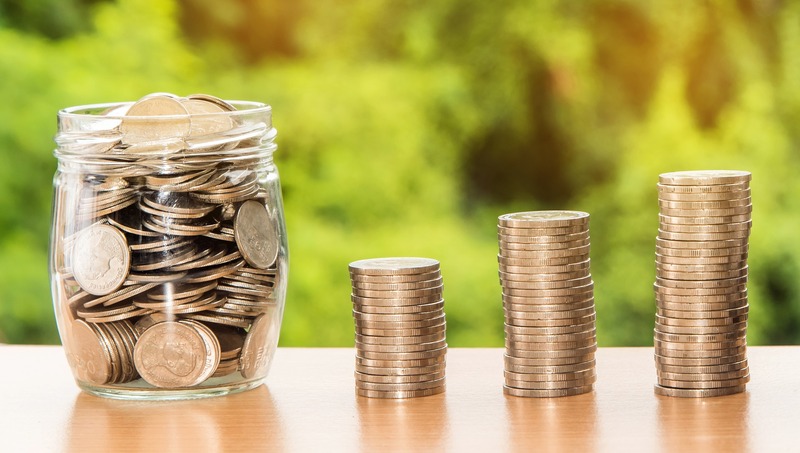 A budget will help you spot the gaps in your finances while also creating strict boundaries on various expenses such as education, insurance, housing, and health care. Debts can be overwhelming and frustrating. This is why many people jump on the first opportunity to clear their debt fast, without taking a minute to think about what they’re getting into. However, you need to remember that you accumulated your debt. You didn’t wake up one day with outstanding loans and credit cards. Once you find yourself in debt, it’s important for you to figure out what led you into this situation in the first place. After that, avoid the shortcuts listed in this article and you’ll be well on your way to being debt-free. How to Raise Credit Score in 7 Steps?